EJ Tee is a Singapore-based graphic artist. We love his bold and classic style so much, we've featured him before on our blog! 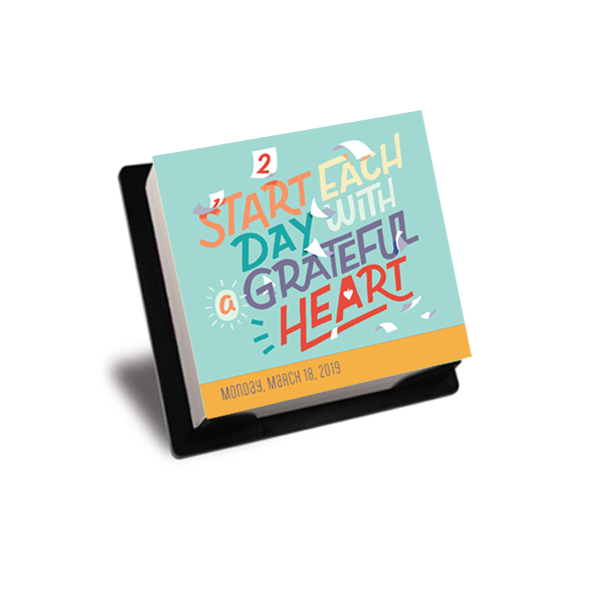 His hand-lettered quote in the 2019 Today Is Going to Be a Great Day, "Start each day with a grateful heart," is a perfect reminder for the start of a new week where the possibilities are endless and a little gratitude can go a long way! Want more of EJ's work? Check out his Instagram and Twitter at @ewejintee! Looking for something to brighten your Monday? Click on the below image for a full-size download! 5. Put it in your partner/roommate's lunchbox in the morning for a midday surprise! 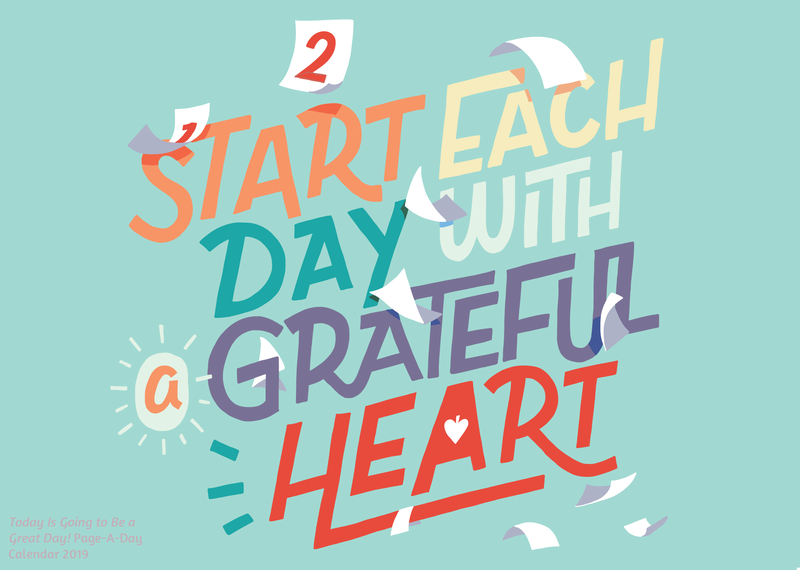 Veronica Chen's inspiration - Today is Going to Be a Great Day! Cayla Mattea Zeek's inspiration - Today Is Going to Be a Great Day! Zachary Horst's inspiration - Today Is Going to Be a Great Day! April Moralba's inspiration - Today Is Going to Be a Great Day! Emily Rasmussen's inspiration - Today Is Going to Be a Great Day!